Do you ever ponder on the phrase “Today is a new day”? 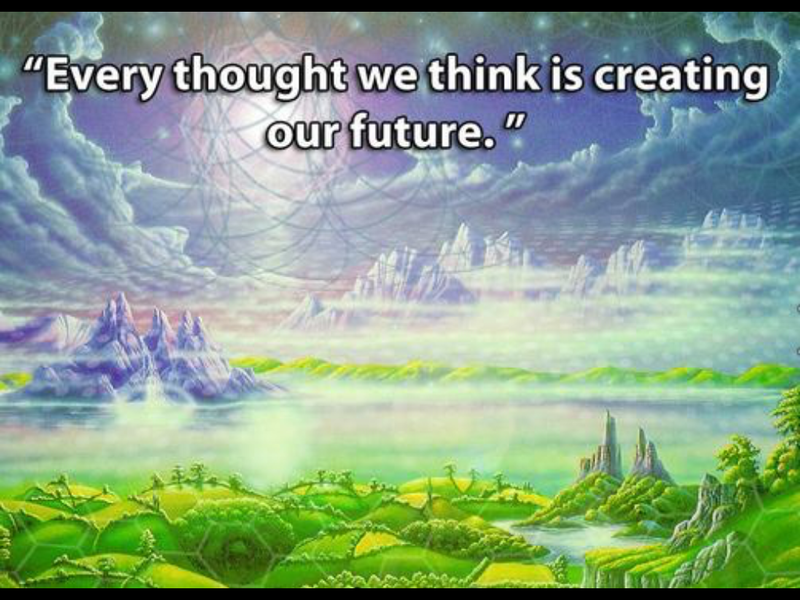 It is not just that you’ve slept and have renewable energy, but a chance to create anew each day. In the little steps of every day life, we have an opportunity to be joyful or unhappy. By what we dwell on (think) and by how we feel. I’ve talked a bit about how we are energy. We also have electromagnetic fields around us. We create through that field onto the world by our thoughts and emotions. When we take the time to more positively focus we do become better at feeling good more of the time. The better you feel on many subjects, the more you can feel the power/energy that creates worlds flowing through and to you. Energy is the currency of our universe. What you allow your consciousness to focus on reciprocates those experiences to you whether you want it or not. So understanding how the laws of the universe respond, you can easily and simply use this to your advantage every day. 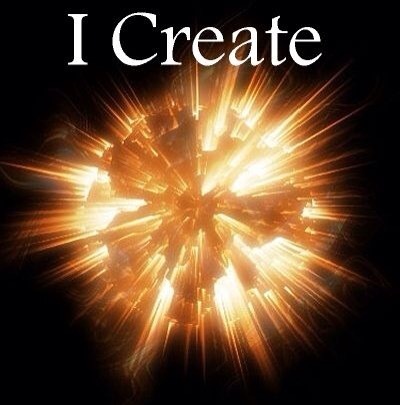 I think it is quite amazing that this powerful energy that has created so much flows through us all, and by your everyday focus, you harness the power and ability to create your life the way you’d like it to be. When you wake up in the morning you have the dawn and the chance of a new day. You do every day. Do you set your intentions and focus on the things working well? Or do you wake up and start thinking and worrying of yesterday’s worry and problems. When you bring forth yesterday’s drama, you actually call forth more of that energy. Thoughts are energy and vibration that you are projecting on yourself and out into the universe. That is why it can be very beneficial to be mindful of what you dwell on. When your mad, complain, and blame, you are contributing more to the problems rather than allowing the solutions. When you see things that are unwanted it is necessary to look for the love or expansion, or you may very well create more unsettling feelings. I think, at first, you may have to practice mindfulness to be aware of your thoughts, feelings, and actions, but the more attention you pay to how you feel and how you’re responding, you then begin to create more deliberately rather than default. I think starting with yourself is simpler and than moving on to family, friends, and the world. It starts with us from within. How are you thinking of yourself and your feelings? Are you celebrating all your joys? Or are you being hard on yourself and focusing on lack? Even the thoughts of ourselves and circumstances affects our energy and contributes to our creations. Start simple if you feel like you’re not very good at being positive about yourself. You may have the starting point that you woke up, you’re alive, you have legs, you’re breathing on your own. Reach as far as you need and slowly work your way into noticing the great things about yourself. Believe it or not, we all have beautiful and unique gifts to offer. We are more than our body/shell we walk around in. We have much more to offer than what the physical eyes see. No one on earth is like you and can be you except you. Why waste any second pondering or comparing yourself to another. When you use your energy to focus on your good, you feel good. To be happy and feel good? I’ve learned the better you feel, the more joy, excitement, and passion you bring to you and to others. So instead of looking for love, a better career, abundance, or health, try focusing on your best in yourself and let what you desire come towards you. Be good to yourself, be happy, and let it in. Have you taken the time to think about how you start your day? Is it paced, and are you able to center yourself before it begins? Or do you wake up and rush as soon as those feet of yours hit the floor. I can relate to many years of rushed mornings. I had a busy life and career and was taught primarily work ethics. I had no idea that my habits could affect my whole day – from the people I interacted with to the circumstances I was attracting. I think we all really do the best we can with what we know. It is what we’ve mimicked from our upbringings, and the roles/responsibilities we’ve taken on. I like to blog about the simple things we can do to shift our moments into more happiness and joy throughout our days. I think simple steps make it easier to apply and feel possible. When we start simple and can really apply these ideas we can, step by step, experience more joy. I enjoy studying neurology, how the brain works, our energetic/electromagnetic fields surrounding us, and how our consciousness works like a magnet. I break down what I understand into simpler strategies for my activities of daily living. When we think of our consciousness like a living magnet, it helps to simplify the understanding to what we attract, and what we attract is the things going on all around us. You can really dig into the science of this from multiple resources, and the internet is endless with reading recommendations. It is here that I like to shorten that focus to easier understanding. When we arrange our day to give us a little time in the mornings before making our way into our actions of the day, we set the tone for how things will flow. If we jump up rushing, aggravated, or stressed, it sets the tone for the rest of our day, causing more of our day to bring us more stressful situations, people, and circumstances. So to have a smoother day, I believe we should take a few minutes in the morning to hone our actions in order to make the rest of the day more positive and, hopefully, have better results. It doesn’t even require a lot of time. You will find it is worth the time to think of ways to create this for yourself, too. You can figure out what is realistic for you, but you may have to set your alarm a few minutes earlier to provide the time needed to find this window. Personally, I have sometimes just laid in bed, and before I even opened my eyes, I took the time to think about how I felt, what I was thankful for, and how I wanted to attend to my day (plus, I wanted to fool all our animals that I was not awake yet). I have especially done this when I know my day has a long agenda. I found this one, little, small thing carried me through my day with more patience and joy. On top of that I also found that I was attracting more positive experiences. Seemingly, the more I practiced this a few minutes each morning, the better my days become. This motivated me each day to put more things into practice that worked for me. The more I practiced, the easier these routines became. The point to doing these things was to increase my happiness. I can, without a doubt, say that this has worked for me. Now I try to arrange my morning to have, at least, an hour for my cup of coffee. It helps me focus, reflect, and set my intended schedule for the day. I like to practice meditation, and often I youtube my favorite speakers/teachers to listen to, as well. The motivation for my day has increased drastically. How I interact with my family, friends, clients, and strangers has improved. I must say that I have noticed a difference in the flow of my day. I am attracting better experiences – the best of which are the joyful surprises that seem to manifest themselves from out of nowhere. I have found I like smiling, being positive and it feels good to have more joy each day. The stress and cynicism were not serving me well. It was a habit that I picked up along my trail thinking I was applying humor, but I was, in fact, attracting more of what I wasn’t enjoying. The best news is that it doesn’t matter what habits we have needlessly adopted in our history. We have the choice and power each day to change those bad habits into good ones. We don’t have to keep doing what we’ve always done. We can apply things that work better. It may take a little practice to replace some of our default patterns, but just paying attention and making it simple is definitely possible. Make it a goal each day to get up and start with one simple thing that feels good to you. I encourage you to try it. It will be worth your “joy adustment”.